Based on many investment books, forums, blogs, websites that I had come across, Investment Linked Policy (ILP) seems to be a ‘taboo’ and a big ‘no-no’ to all the investors out there. I happen to have three ILPs, which were purchased well before I started to be more interested and taking an active role in managing my personal finances, around early 2014. 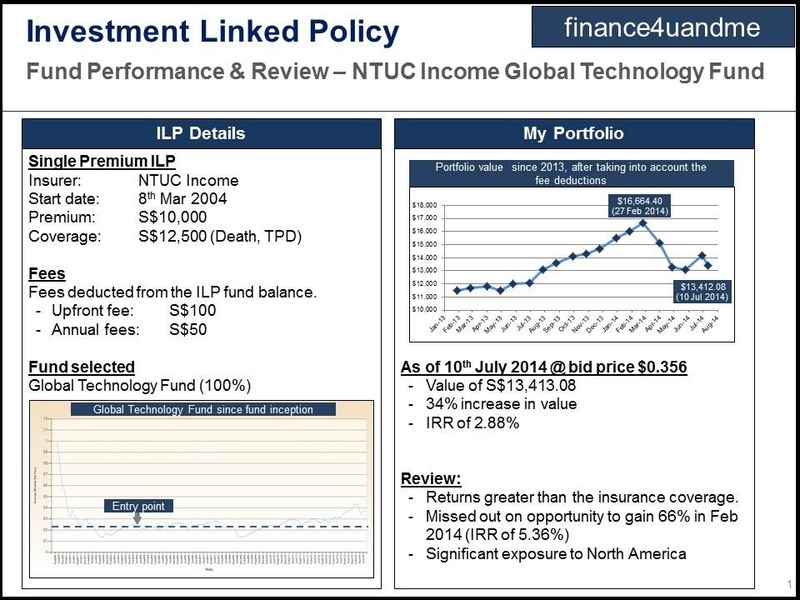 One of the ILP is a single premium ILP and the other two are regular savings plan ILPs. 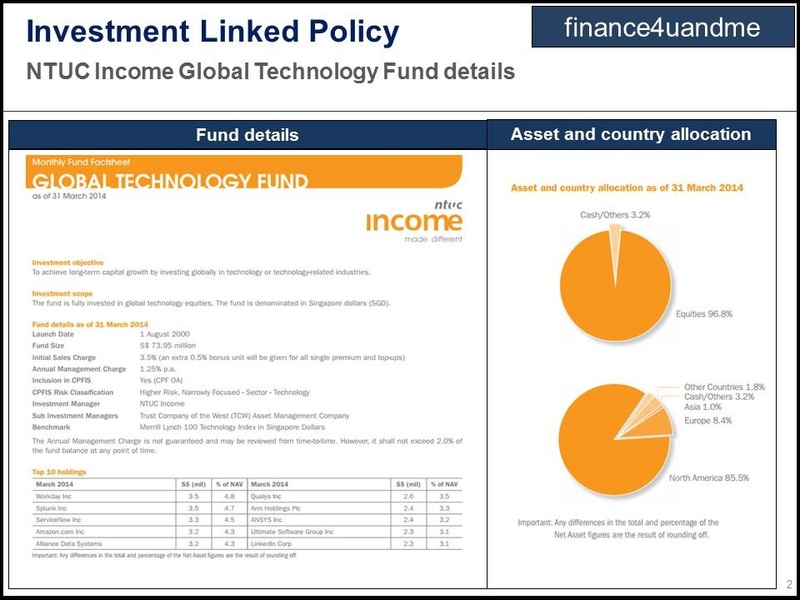 The ILP has offered an IRR of 2.88%, which I think is pretty decent given that it is after total fees deduction of S$600. If I was given S$10,000 10 years ago, I doubt I will be able to perform much better and the money would have been earning miserly bank interest. I think that the $12,500 death and TPD coverage, offered by the $50 annual fee I paid over each of the last 10 years, is very low. If I prorate one of my current term insurance, which covers me till 75 years of age, $50 annual premium would offer me a death and TPD coverage of $20,000. My personal conclusion is that before one to purchase an ILP, check out what are the unit trust and term insurance plans available first. There may be a combination of unit trust and term insurance which may be able to offer better value than a single ILP for the same amount of money. I am quite happy with the 34% increase in value and I think its time to cash in. I’ve already missed an opportune time in Feb 2014, hopefully I can catch the next upswing soon.